Karen Stiles discuses the danger of buying things online and getting a refund. 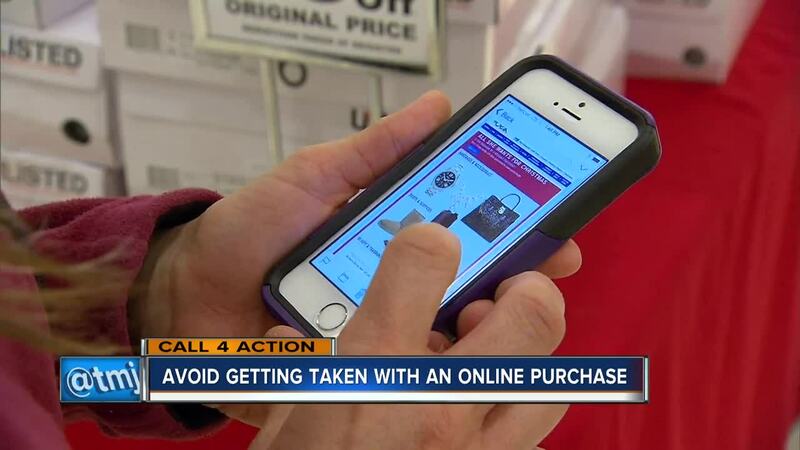 MILWAUKEE -- Problems with online purchases topped the list of some of the ways that people were ripped off last year. A lot of us shop online, but here are some of the risks that we take when we click and enter our credit or debit card information. Although there are a lot of reputable companies who sell quality items via their website and on social media, unfortunately there are also scams, poor quality merchandise, and products that can be down right dangerous. If you are not satisfied with the purchase or it never arrives, it can be very difficult to get your money back. Some of these sites contain links with malware or the site might disappear shortly after you place your order. If you know that the company or business has been around awhile, there is good chance that they will be selling quality merchandise, and will work with you if there is a problem. When considering a company or a product, look for a street address for the business that is located in the United States, and that the site is secure, with their web address beginning with “https”. Before placing an order, you might want to do some research with reputable sources to be sure that the company has satisfied customers, the product is safe, and of the quality that you expect. Some of these sources might include the Better Business Bureau, Federal Trade Commission, Food and Drug Administration, and the U.S. Consumer Product Safety Commission. Trust your gut instinct. If the website does not look professional, has grammatical errors, or the product or their deals seem too good to be true, watch out. scammed or the product is not safe, or is falsely advertised, file a complaint with state and federal consumer organizations. Lastly, you can always reach out to our Call For Action office for help.